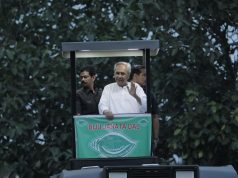 Report by Nishapati Nayak; Koraput: On the occasion of 60th World Deaf day an awareness Rally was organized by Koraput District Association of Deaf(KDAD) to sensitize general public about the importance of Sign language and other issues of deaf people. 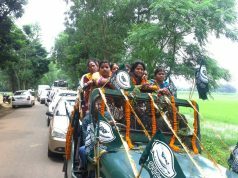 Chairperson of Sunabeda Municipality Mrs.Shubhasree Mallick flagged off the rally, Executive Officer Mr. Swastik Jamadar, Community Development Officer Mr.Chitaranjan Sahu and other staff of Sunabeda Municipality were present for their support . On behalf of KDAD(. 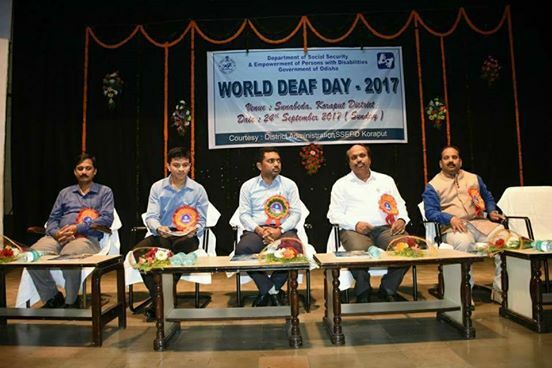 Koraput District Association of Deaf),Sunabeda , Shri Anupam Saha,IAS, Koraput Dist Collector & Magistrate attended the 60th World Deaf Day celebration as Chief Guest and Shri D.K. Mohanty , CMD,NALCO and Shri Bhusan, Y.K,Assitant Commandent,202, Cobra Batalion , as Guest of Honour and encouraging the deaf populace of Koraput district. Social Security Officer Mr. Ashok Kr. Patra took leading role in organizing various programmes ,such as Awareness Rally to sensitize about “Sign language” and Drawing & Elocution Competitions for deaf and general students and Counselling Session for Parents of differently able children even Social Activist Mrs. Shaheda Parween and Head Master of Deaf School Mr. Binay Kr. Mishra conducted the Counselling Session as Resource persons. 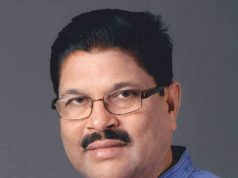 Mr. Dilip Kr. Sial, Mr.Anand Mouli patnaik, Dr. Uma Sankar P.patra and Mr.C.M Prusty and other members of KDAD and all teachers of Deaf School for their co-operation and active participation and the said programme was observed at bhanja mandap of HAL. Later this evening District Administration to-day with an awareness rally followed by Drawing and elocution completion among the Deaf students of different blocks of Koraput and Counseling to the parents of special children by Mrs. Shaheda Parween, Motivator of KDAD. Students of Sunabeda Deaf School performed Martal Art under the coach of Mr.Anand Mouli Patnaik and a dance on the song…Papa Kehete he. World Deaf Day is celebrated every year to draw the attention of general public, politician and development authorities towards the achievements of the deaf people as well as deaf people community. Throughout the celebration of the event, all the deaf people organization worldwide are encouraged greatly to fulfill the demands and needs of the deaf people as well as increasing their rights all over the world. The main Objectives of world deaf day is to promote understanding among common people about the problems of deaf people in the community all over the world,To motivate deaf people to learn sign language as an essential human right,To make available the required resources in the community for deaf people,To promote the deaf people human rights about equal access to the education and modern technologies stated Mr,Anupam Saha,IAS,Collector ,Koraput. koraput district association of deaf(KDAD) place on record its sincere thanks to mrs.shubhasree mallick,chairman ,sunabeda mincipality ,Mr.Swastik jamadar,E.O,sunabeda muncipality, and HAL adminiatration and for their continues support to the deaf people of our locality. Previous articleIsuzu Motors opens a new dealership facility in Nagpur.